It's not about running short or long distances, neither about being an occasional runner or a habitual one. 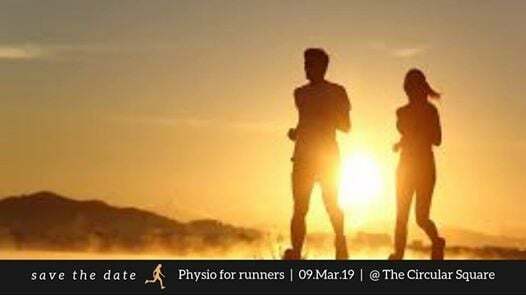 If you are into running or contemplating to take it up, then its necessary for you to understand the physiological aspects about your body, so as to avoid injuries and enjoy this form of fitness that you have chosen. Dr Pooja comes with a multifarious experience in handling varied number of cases in physiotherapy. She was the Head of the Department of Physiotherapy at St.Joseph Niwas from August 2006 to October 2008 and has rehabilitated many physically and mentally disabled kids. She has keen interest in exercise therapy and has been practising and teaching yoga and aerobics since 2004. She is also certified in "mulligan and maitland techniques" by FIMT and uses it in her clinical practice. She is the founder of "Arogya Physiotherapy” that is operational since May 2009. She is also an expert in women's fitness and conducts prenatal, postnatal and Zumba classes in Sakhi Hospital on regular basis. Apart from this, she is also a consultant at Sagar Hospital, Konankunte cross and Sai polyclinic, Hulimavu. She has recently started a youtube channel called arogya physio tips for promoting health and fitness. Dr. Pooja is a trained Zumba instructor who has customised her classes on pilates and Bollywood theme which she calls wolly. She is a motivational speaker at various schools and colleges such as NMIS, DPS, Kumarans, JAIN college, BGS. She has conducted talks on posture and ergonomics in several offices, schools and colleges. She has also been a speaker and resource person in various physiotherapy conferences all over India.